Through out the years, I’ve made it my mission to focus and learn about how to instil long-term change within my life. I’ve learned a lot from brilliant authors and speakers. When an idea strikes a nerve, I write it down. So here I am writing today about change. Am I a walking contradiction? I think the reason this really resonated with me is that I’m working very hard on my character and growth right now. I set aside an hour daily to read, write, learn, grow so I can be the best version of myself. So my kids have a better role model and I can be proud of the life I’m creating. Having spent this year in fast forward growth, my integrity is very important to me. 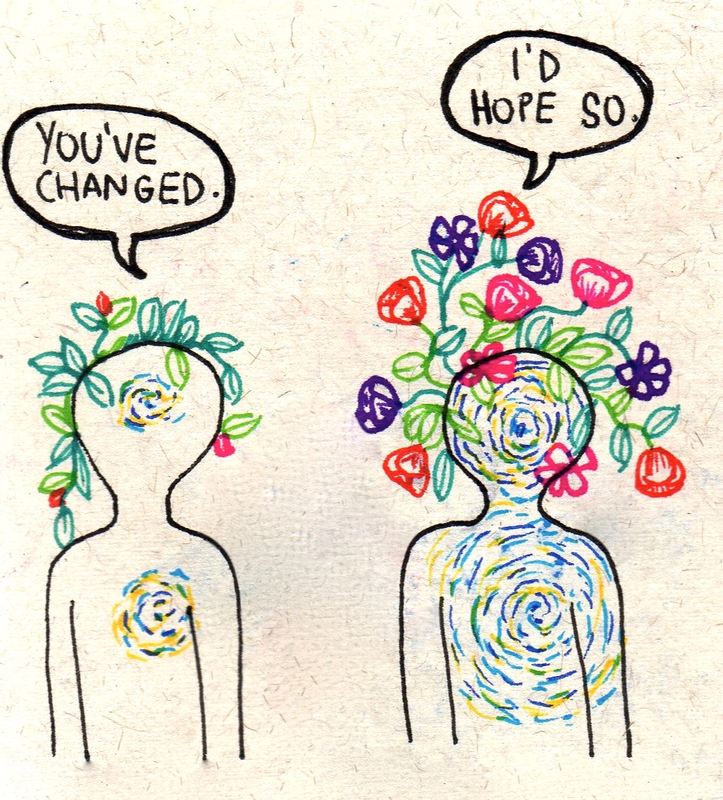 I know exactly who I am and the way in which I want to continue to grow as a person. The idea that some of my actions in life do not line up with my character and the high standards I set for myself does not speak of integrity. It’s important to recognize the areas of inconsistencies between my character and my actions. I just had this discussion with my son the other day in relation to Integrity. What does that mean exactly? To me, integrity means my actions align with my words. I do what I say I’m going to do. My loved ones can count on me. I align my choices with who I am as a person. I let my actions speak louder than my promises and words. I asked my son a few days ago a very important question: Who do you want to be? Go be that. So how do you change something right NOW? Change occurs when the pain of staying the same is greater than the pain associating with change. Our brains are hardwired to associate pain and pleasure to every action and behaviour. We have to condition our brain to make these pain/pleasure associations differently. It all starts within the mind. What do you want to change today? Whatever it is, ask yourself some important pleasure/pain questions. Pain Q: What will it cost me if I don’t make this change: mentally, emotionally, spiritually, physically, financially? How does staying within a destructive behaviour affect my children or those I love most? Pleasure Q: If I make this change today, how will that make me feel about myself? How will it change the way my children/loved ones view me? Say for example, you want to change patterns of emotional eating. Obviously you must be placing much importance on the pleasure that brings you and not enough importance on the pain it creates in your life. Reverse that. Focus on the pleasure you will receive in taking control of this area of your life. How will that affect your self-confidence and pride? What will it do for your spirit if you are released from the pain created through choosing to emotionally eat? Feel the pride that comes from knowing that you are a person of integrity who aligns your actions with the standards you set for living your beautiful life. Again, the question I asked myself this morning (I encourage you to ask yourself as well): Am I a walking contradiction? The strength of my stubborn spirit will not let that be my reality. Oh noooooo. It truly is within all of us to make this choice. We have the power to change today. Embrace it with excitement! You can literally change your life right this second. How ridiculously amazing is that?! Have a great day!